The first Authors Answer was a big success! Thanks to everyone who’s contributing, and thanks for all of you who joined in the discussion. This is pretty fun. But now, we have our second question. Question 2: Is there an author who is often criticised that you love to read? Who is it? Robert Heinlein — He is often criticized as being sexist and racist, but most people just don’t understand that he was writing satire/exaggeration to make a point rather than presenting those things as good/right. Books like I Will See No Evil explore gender roles Heinlein had strong, intelligent female characters such as Pee Wee from Have Spacesuit, Will Travel, and multi-ethnic protagonists such as Johnnie Rico from Starship Troopers, who is Puerto Rican. I would say two fit this bill for different reasons. The first is an almost guilty pleasure of mine, and that’s Dan Brown. I’ve read The Da Vinci Code and later Angels and Demons, and while I do understand the criticism his books receive I still find them enjoyable stories. Religion interests me, at least on an intellectual level, and stories with religious themes or plot points feed that. The other author is J.K. Rowling. I grew up with the Harry Potter series and it has a special place in my heart. And this is an example of criticism that I don’t understand, because it’s centered around Rowling herself and not her work. Much of the criticism I hear is similar to what revolves around any celebrity, that she’s been in the spotlight for too long and needs to step down. This puzzles me because celebrity status is fan-generated, and therefore contradicts any of these claims. Also, I don’t believe there’s a time limit for anyone being famous. I don’t usually pay attention to what others say about books so I can’t say that I’ve read an author who is often criticized. That said, the enjoyment of a book is such a subjective thing that it is hard to gauge whether one would like or dislike a book based on another’s criticism. I’ve read some books that are considered popular and found them to be not so great. The one’s I like to read have a story that pulls me in and characters that come alive on the page. Do that for me and I don’t care what anyone else says about the book. I really don’t understand what’s so bad about the “Twilight” books. 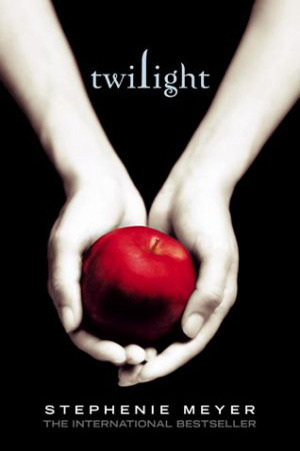 The movies put me to sleep, but Stephenie Meyer has a way of telling a story that’s compelling. I have thoroughly enjoyed reading everything she has written so far. Not really – I’m the opposite, actually. If there’s an author who’s constantly praised, it’s likely I’ll find something unsavory about their work. Weird, I guess. Criticism is an interesting thing. While it can be considered bad, resulting in lost audience or reputation, many see it as essential. After all, criticism is a fancied-up word for “people are talking about the work,” right? If it’s true that a writer’s goal is to have an audience, criticism would seem a necessity. That having been said, I sometimes think that criticism can miss the mark—or what’s important—in a work. The example that came to mind as I read this question is the work of David Sedaris. For those who don’t know his name, Sedaris is considered a “humorist.” His essays have appeared on radio (he’s been a popular contributor on This American Life on National Public Radio), in books, in The New Yorker, among other places, and he tours the country reading his work to packed auditoriums. Now, those who know Sedaris’ work might think I’m discussing criticism of his content here. Sedaris is openly gay and has family issues, and he isn’t afraid to discuss both of those things in ways that could easily offend audience members. While that may be true, what I want to focus on is the criticism Sedaris has faced over his genre: nonfiction. Nonfiction seems pretty easy to determine, right? If the events described actually happened, the work is nonfiction. If they didn’t really happen, to the fiction shelf it goes. In the case of humor writing, that may not be such an easy determination. In 2007, an article appeared in The New Republic called “This American Lie” in which Alexander S. Heard investigated the truthfulness of the experiences Sedaris described in his essays. Heard found that Sedaris pushed the boundaries of nonfiction with his exaggerations and embellishments. A conversation erupted about the use of the “nonfiction” label in publishing. I could ramble on here for a while about the publishing industry and their labeling, but I’d be losing my focus on criticism. While I appreciate the reporting that Heard (and others) do, along with the criticism that arises from such stories, I will continue to read David Sedaris’ work, whether or not every incident he describes is true. The man is a gifted storyteller, and for me, that’s what matters most. I was a big fan of Piers Anthony when I was a teenager. I went back and read some of his books recently, and I still think some of them are pretty good. And even if I didn’t like it anymore, Isle of View would still be an important book to me personally anyway, so I could never dislike the author as much as some people do. Short answer NO. I don’t read reviews about books. I know that seems odd. The only writer I read that I have ever heard any criticism about is Rick Riordan. He’s the author of several kids/adolescence fantasy novels. I have read the Lightning Thief series and the Heroes of Olympus series. I like it and really enjoy reading about these characters. The only complaint I’ve heard is he writes “formula fiction”. That may be true, but I still like it. Let’s be real, as a writer, if I could write a long lasting series that millions would read, based on a formula… I would do it. Most genre fiction is written by formula. If I don’t read reviews and base reading choices by that, how do I chose books? Easy. I surf the stacks at my local library and chose books by looking at the jacket and reading the back matter. I’m proof that the cover is really important. As I find authors I like, I keep track of them on Goodreads and look for more of their books. Before Goodreads, I kept a handwritten list in a composition notebook. The second way I find books is by word of mouth. If I keep hearing about a book or series than I’ll give it a chance. That’s how I found out about The Hunger Games and Divergent. It comes down to, I read what I like regardless of what critics think. I’ve talked about my love of R. A. Salvatore before, and just recently I saw him dissed on a forum, so I guess he counts as often-criticized. I have to say that I started reading his stuff at the impressionable age of twelve or fourteen or so, and thus I know why I like him: because his stuff hooked me at a formative time. I recently went back and reread some of the older books, and yes, the D&D novels can be patchy and formulaic — and yes, I’ve gotten less intent reading and more bored skimming out of them as the series has gone on — but I’m still in love with some of his characters, and really impressed by his tackling of some social issues in his more recent Legend of Drizzt books. He also serves as a cautionary tale for me, because as a writer bound to a constantly-evolving game-world, he doesn’t really have control of the time-jumps and environmental changes he’s forced to write. That just strengthens my desire to stay independent. Most of my favorite authors are the big guns whom people mostly only have praise for: Stephen King, Guillermo del Toro, C.S. Lewis, George R.R. Martin… But I can openly admit that I have a “guilty pleasure” side as well. I love a well-written book, make no mistake about that, but I’m also capable of enjoying a terribly-written book if it has something fun, something I can relate to, something that makes me smile or cry or shiver or laugh. The most obvious example is probably Stephanie Meyers’ Twilight series. Yes, I enjoyed these books. Do I think they’re well-written? Absolutely not; I think the writing is absolute crap. Do I not realize that Bella and Edward’s relationship is a horrible combination of dependance and obsession? Of course I realize that; they’re written like lovesick preteens who have no self-worth. Doesn’t it bother me that Bella is quite clearly a “Mary Sue” character? Well duh. But here’s the thing: there are other aspects of the series that amuse me, make me feel younger and stupider again, and remind me of the way I used to write stories about myself back before I knew that that was a stupid thing to do. I enjoy these books the way a cinephile enjoys a B-movie. Something that is absolutely horrible can still be fun, as long as you can turn off your brain for a little while and let it. And along a similar note, I personally feel that if an artist of any kind is making a boatload of money from their creation, then obviously they’re giving people what they want, and even if that’s not what you want, do they really deserve so much hatred for that achievement? It’s no one person’s business what other people enjoy, so maybe we should all just focus on ourselves and we’d be a hell of a lot happier. I would have to say my guilty pleasure is Terry Brooks, especially his Shannara series. He is often criticised for copying J. R. R. Tolkien’s Lord of the Rings in his first book, The Sword of Shannara. While I can see a similarity, mostly in the fact that there are elves, dwarves, and a powerful magic user, and that it involves a quest to defeat a great evil, I find it quite different. The Shannara series is far more extensive, has strong links with the real world, and easier to read. Any time I go back to the Shannara world, I feel very comfortable. They may not be well-written, at least in the earliest books, but I enjoyed them very much. This, along with Anne McCaffrey’s Pern novels, is something I would love to reread soon. What’s your guilty pleasure? Which criticised author do you like to read? Leave a comment with your answer! 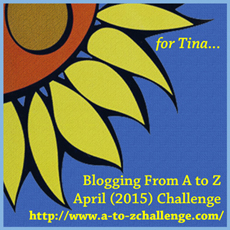 Second installment of the Authors Answer series, to which I am a contributor. I talk about one of my guilty pleasures (and continuing influences), R. A, Salvatore, whose work I’ve also talked about before. I had to look up who Douglas Preston is. Not my kind of genres, unfortunately. It’s the second installment of Authors Answer. Thanks Jay for the fun read. The second Authors Answer. Interesting question and answers this week. I didn’t even know that Heinlein was often criticized as racist. I’d heard of some criticisms of Heinlein, but I couldn’t remember what they were. The second week of the “Authors Answer” series. Here I talk about a literary guilty pleasure and a favorite author I feel receives too much hate. But your answer still shows variety. Not everyone has a specific answer 🙂 If you asked me who my favourite singer was, I couldn’t answer. I don’t have a favourite.